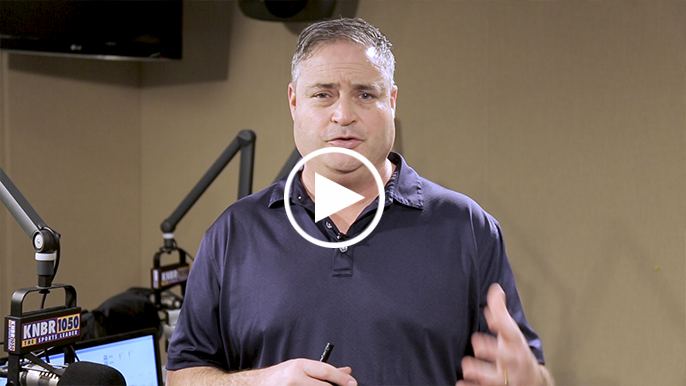 For the first time this year Larry Krueger has released his full 2019 San Francisco 49ers mock draft, all seven rounds of it. 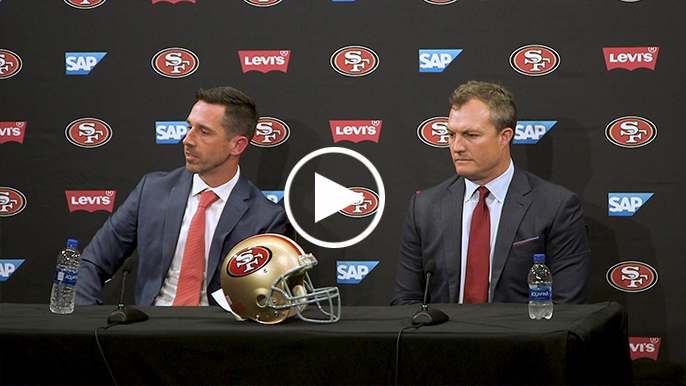 It started with a blockbuster trade, and ended with the 49ers stockpiling playmakers deep in the draft. 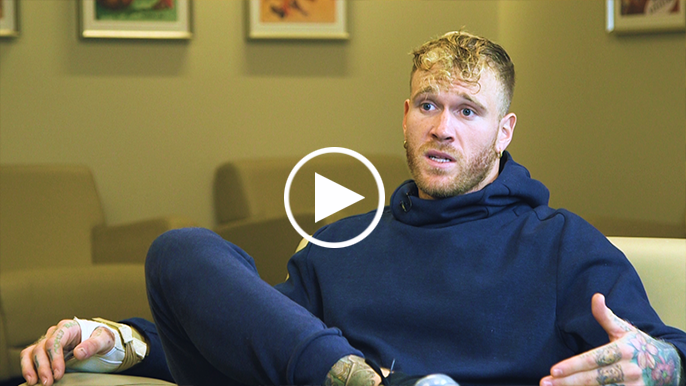 49ers defensive end Cassius Marsh sat down with us to talk Magic: The Gathering, martial arts, and his new family member on the way. 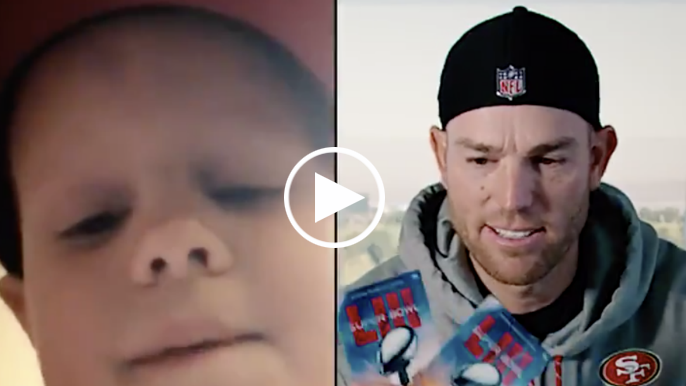 49ers kicker Robbie Gould is a 2018 Walter Payton Man of the Year award nominee, and the above video is a good example why. 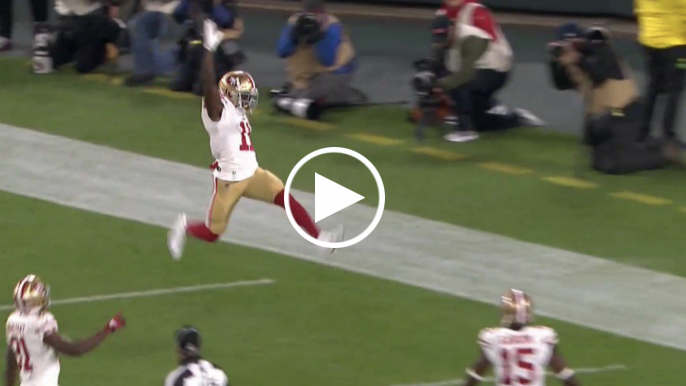 The second-year quarterback put together another impressive performance in the 49ers’ 26-23 OT win over the Seahawks, going 20-of-29 for 275 yards and a touchdown while posting a quarterback rating of 110.6. 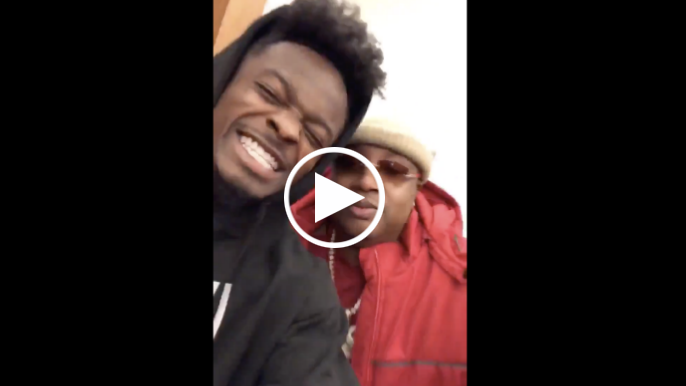 The 49ers provided head coach Kyle Shanahan with a memorable experience for his 39th birthday, when they invited legendary Bay Area rapper and longtime 49ers fan, E-40, to the team facility on Thursday. 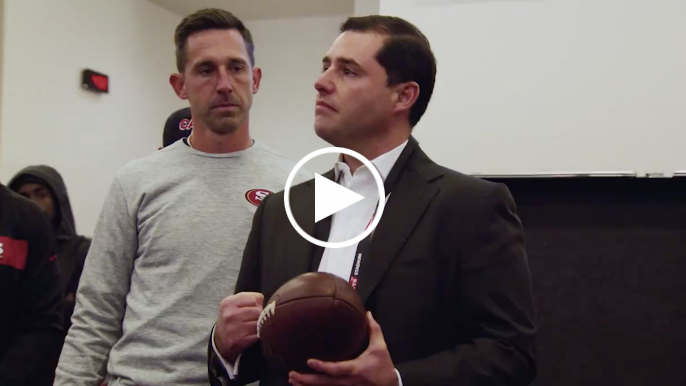 After the 49ers’ 20-14 win over the Denver Broncos on Sunday, head coach Kyle Shanahan dedicated the win to Tony, before giving the game ball to Jed, who then spoke to the team. Nick Mullens was fantastic in his first ever NFL start on Thursday, throwing for 262 yards and three touchdowns in a 34-3 destruction of the Raiders. 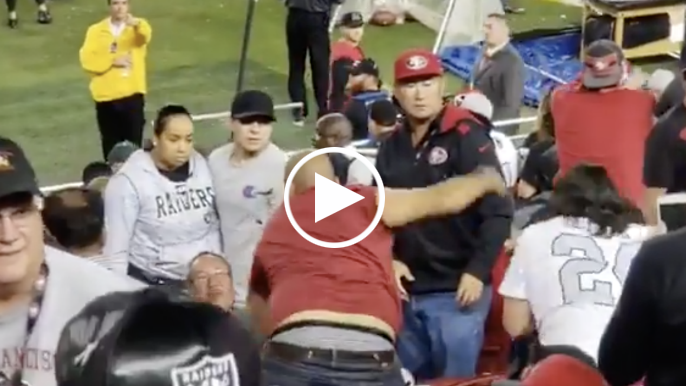 Things got ugly on Thursday night in what could be the last ever “Battle of the Bay”. 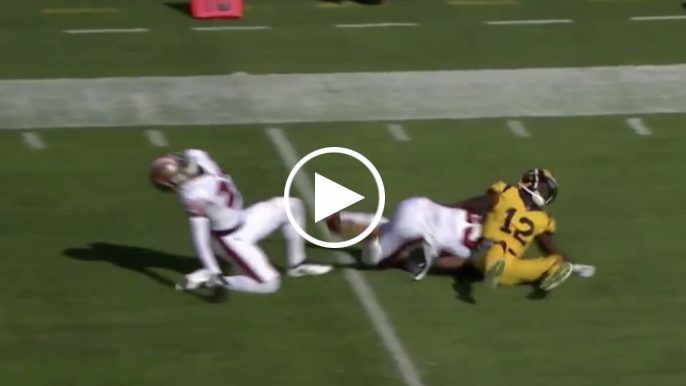 Any chance for a 49ers comeback was spoiled with seven seconds remaining. San Francisco has had a hard time winning the turnover battle in 2018, and currently rank dead last in takeaway statistics. 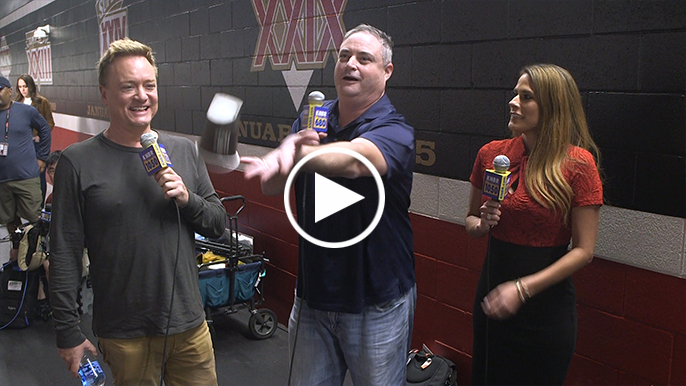 John Lund, Larry Krueger, and Bonnie-Jill Laflin discussed the game after it ended, and the three agreed that giving the football up was the team’s biggest problem. 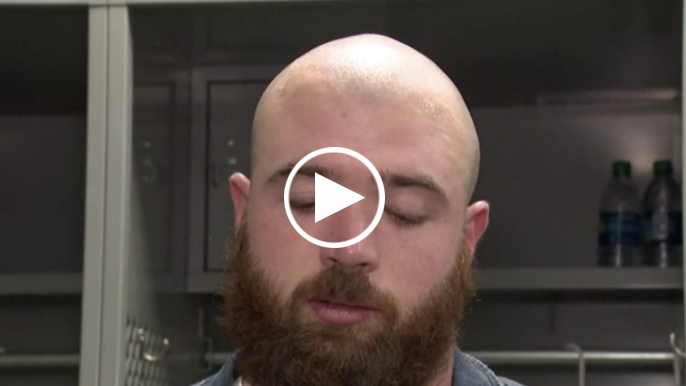 It’s been a rough afternoon in Santa Clara for more reasons than one. 49ers icons and members of Dwight Clark’s family caught up with KNBR to reflect on the statues, the meanings behind them, and their lasting memories of Clark. 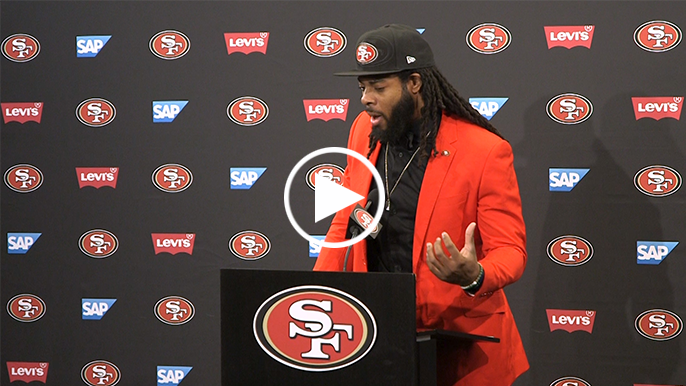 The most famous moment in 49ers history is now immortalized outside Levi’s Stadium. The 49ers receiver is back in the lineup Monday after missing last week with a hamstring issue. Goodwin made his presence known before the nationally televised game, warming up shirtless on the field during pregame warmups despite frigid conditions in Green Bay. 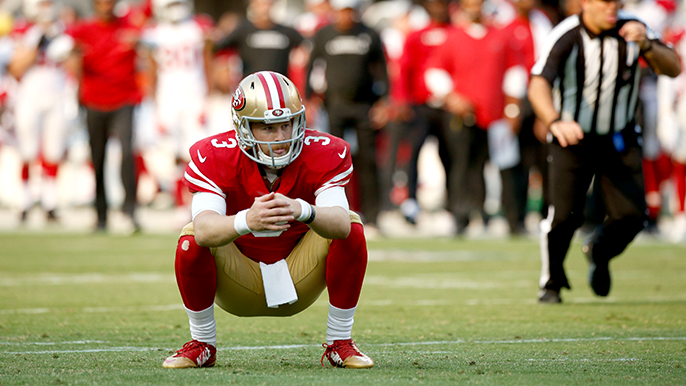 The optimism surrounding the San Francisco 49ers at the start of the season has been abruptly snatched from the team. 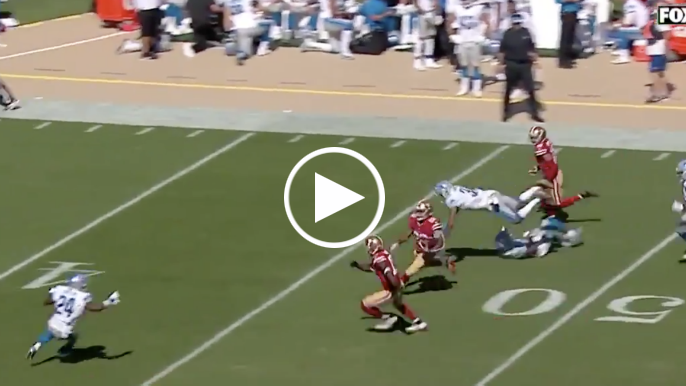 Matt Breida provided the 49ers with their most explosive play of the young 2018 season in the third quarter of their home opener vs. the Lions on Sunday. Vikings defensive lineman Danielle Hunter said he saw Jimmy Garoppolo getting scared last Sunday. 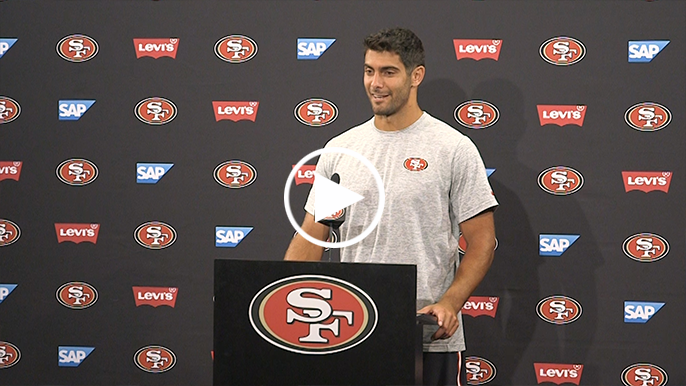 The 49ers quarterback responded Wednesday. 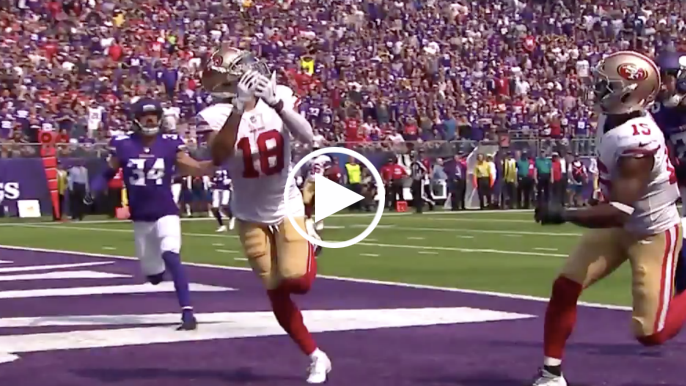 The 49ers got themselves back into Sunday’s opener with an incredible connection between Jimmy Garoppolo and rookie wide receiver Dante Pettis. 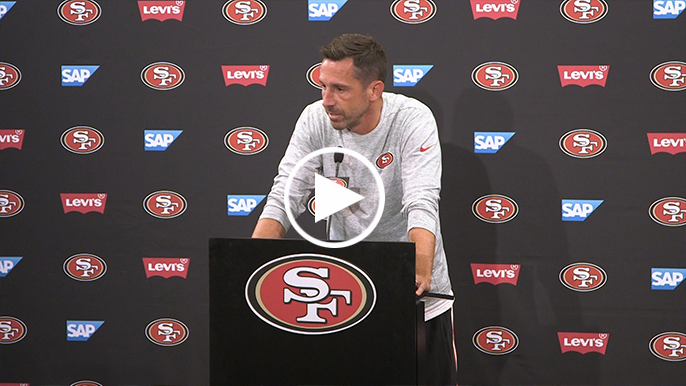 The 49ers head coach doesn’t think Eric Reid would be interested in a backup role. 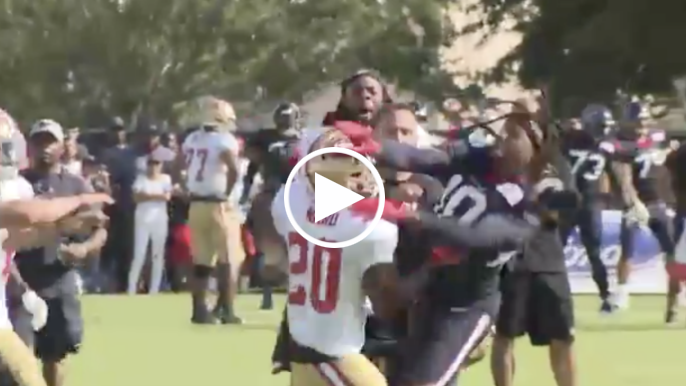 Tempers are already flaring during the first joint practice between the 49ers and Texans in Houston on Wednesday morning. 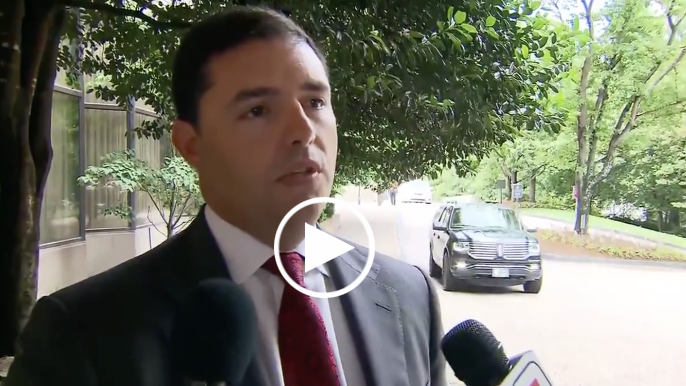 49ers CEO Jed York was the only of the league’s 32 owners to abstain from voting on the NFL’s new protest policy, which will penalize players and personnel who decide not to stand during the national anthem next season. According to reports, the other 31 owners unanimously voted in favor of the policy. 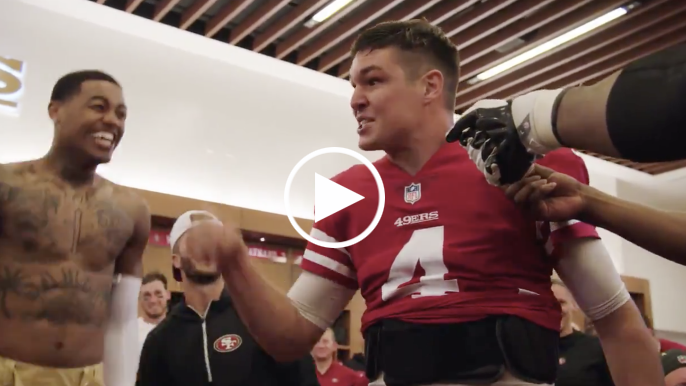 This time last year, draft analysts across the country were applauding the San Francisco 49ers for moving up in the draft to take star linebacker Reuben Foster. 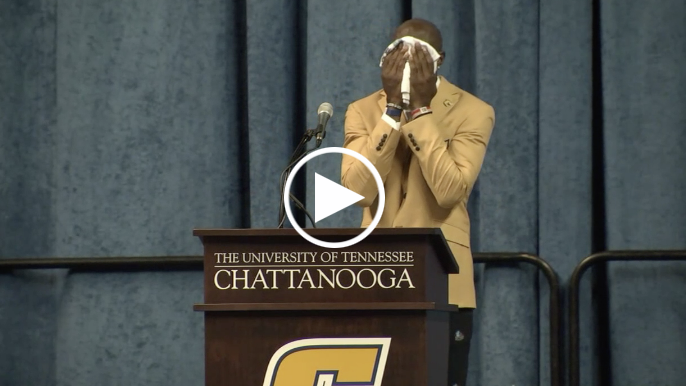 Since then, the Alabama product has taken the team on an emotional roller coaster. 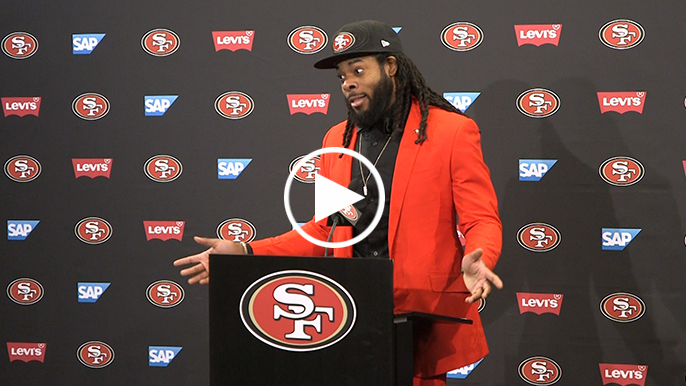 After the Seattle Seahawks decided to cut ties with their All-Pro cornerback, Sherman took it upon himself to act as his own agent and negotiate his own deal with potential suitors. 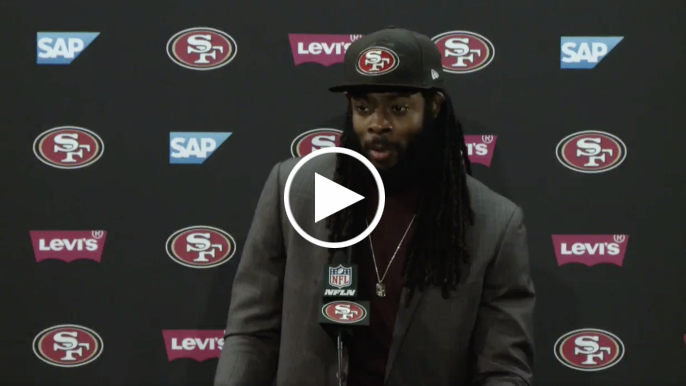 On Tuesday afternoon, shortly after cornerback Richard Sherman was introduced at his first press conference as a 49er, he offered little doubt as to whether he will return to the field prior to training camp.